He will be based in Mumbai and will report to Rajesh Ghatge, Chief Executive Officer at Indigo Consulting. Indigo Consulting - The specialised digital transformation consulting and communications agency by Publicis Communications has roped in Nishith Srivastava as National Head of Strategy. Before taking up his new role, Nishith was with Ogilvy Singapore as a Digital Consultant, and with Ogilvy Indonesia as the Head of Digital Transformation Consulting. Prior to his stints with Ogilvy in the South East Asia region, he was with J Walter Thompson, Leo Burnett, and Digitas on senior strategy and business management roles in India. 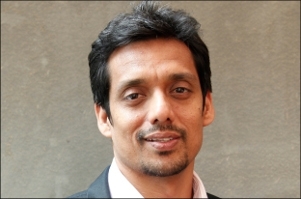 In his new mandate, Nishith will lead the strategy domain for Indigo Consulting's existing and new client mandates. He will be supported with a data analytics and media COE team. He will work closely with the group's management team and will look to achieve business success for his clients with technology and communication-led solutions. Speaking about the appointment, Rajesh Ghatge, CEO, Indigo Consulting said, "The role of strategy within the digital solutions ecosystem is evolving. Data analytics and design thinking are a few of the several specialised approaches which are being leveraged to drive impactful solutions for clients. At Indigo Consulting, we are building a strategy and consulting community which is contemporary-one that can drive the brand narrative of our clients on digital and take an integrated approach, and provide technology-led solutions. This, in turn, will drive some great consumer experiences on digital. Nishith has regional experience on both sides of the spectrum-brand and consulting-and I am confident he is just the right leader to drive this agenda at Indigo Consulting." Speaking on his appointment, Nishith says, "Joining Indigo Consulting to lead the strategy domain in India was a strategic choice I made over other pure-play communication or creative agency networks in the region. We live in a connected world where brands need business solutions over channel-based communication campaigns. As an integral digital consulting and communication partner within Publicis Communications, Indigo Consulting is an agency with a solutions-first approach as the building blocks of its DNA. I am excited about my new role and look forward to creating success stories for our clients."